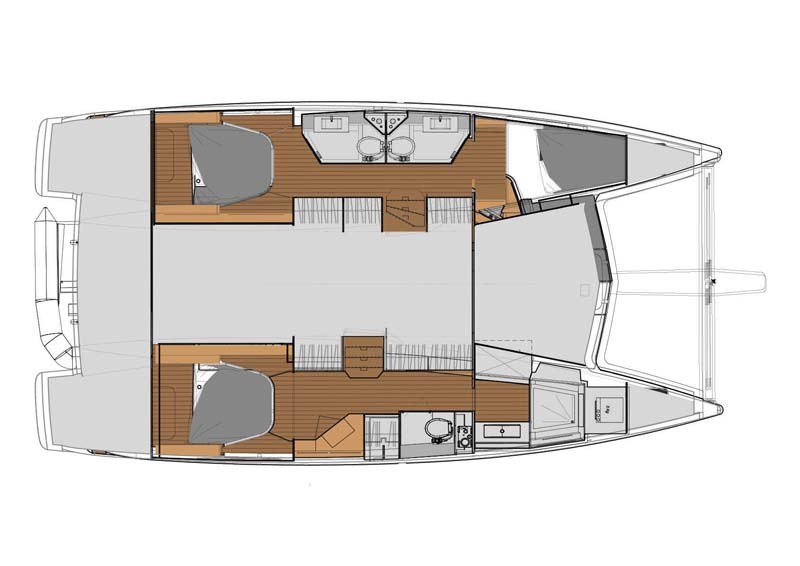 The Lucia 40 is in the style of the bigger sister ship the Helia 44, so a very suitable and solid replacement for the Mahe and Lipari, inline with the advances FP has made in design over the last few years. 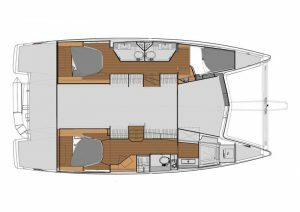 The Lucia 40 has many of the features similar to the Helia 44, such as outstanding light and airy look and feel throughout the cat, and a vast walk-through cockpit area with space for 8 people to sit around the central table. This is a boat made for entertaining and play time, with tremendous space in her under-40 foot length. And she sails like a witch. This yacht sets a benchmark for other manufacturers to follow in finish, performance and price point.